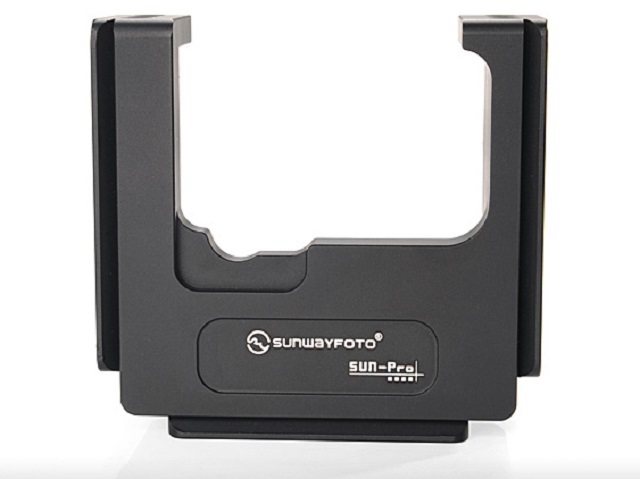 Among the new products announced during the recent China P&E Show in Beijing (April 25-28, 2014) from Sunwayfoto® are two Arca-Swiss® compatible Cages. With these Cages, Sunwayfoto makes their debut into the very popular GoPro® world of action videography a photography. Both cages share the same design characteristics and features but each one is custom designed to fit the GoPro® HERO3 and HERO3+ models. 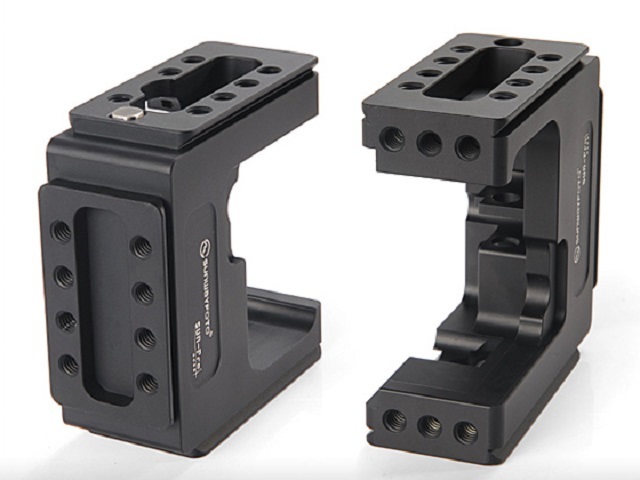 3-side Arca-Swiss dovetail groove allows users to mount the GoPro into any Arca clamp. 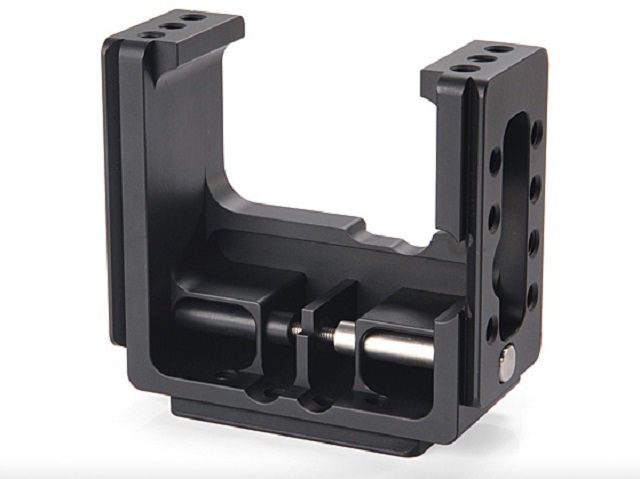 The Sunwayfoto SUN-Pro Cage was designed to protect the GoPro® HERO3 housing and to provide multiple mounting options of the set unto any Arca-Swiss® type Quick Release Clamp via Arca style dovetails on the three sides. A rear view of the SUN-Pro Cage shows that it is completely open at the back. 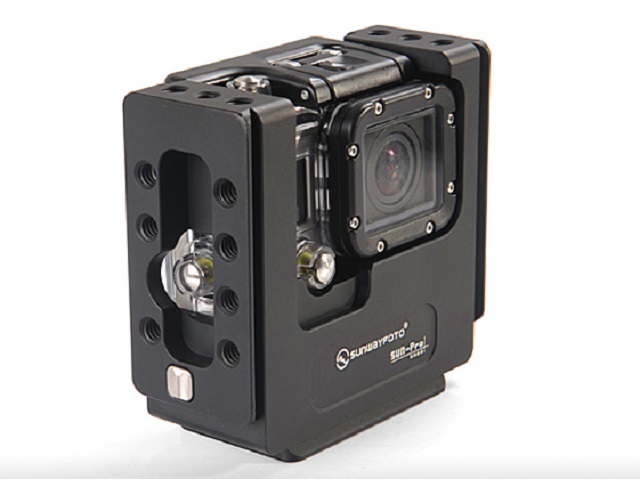 The Cage attaches on the GoPro® HERO3 foot via a long stainless steel bolt without any screws or interference with the water proof housing. 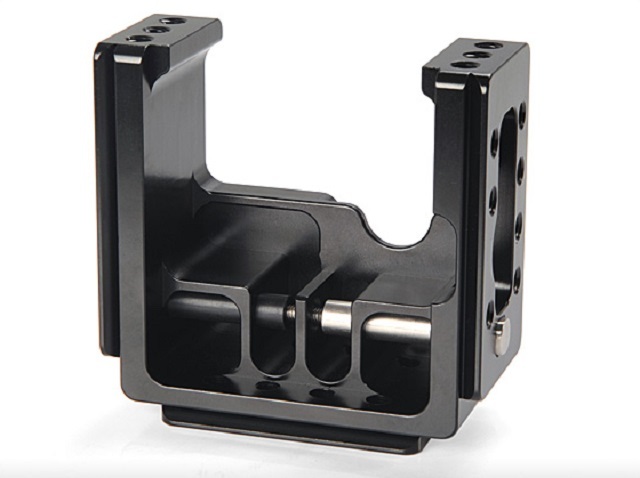 No less than 29 x 1/4"-20 threaded sockets on all four sides of the Cage, allow for numerous possibilities of attaching accessories or combining multiple cages together for 360° panoramic video or whatever your imagination can visualize. Although optically and functionally the SUN-Pro+ Cage is the same, there are minor differences in the dimensions fitting the more compact GoPro® HERO3+ as a glove. These dimensional differences result in a weight decrease by a few grams. 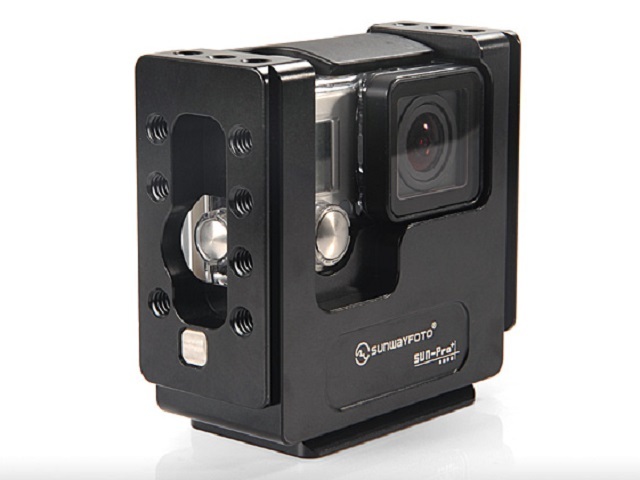 Besides the lightly smaller size of the SUN-Pro+ Cage, minor design differences exist in the front plate cut-out which allows for the larger GoPro® HERO3+ knobs. Otherwise the skeletal design and camera mounting mechanism remain intact. Same goes for the mounting options of the SUN-Pro+ Cage. Three Arca style dovetails and 29 x 1/4"-20 threaded sockets all around. 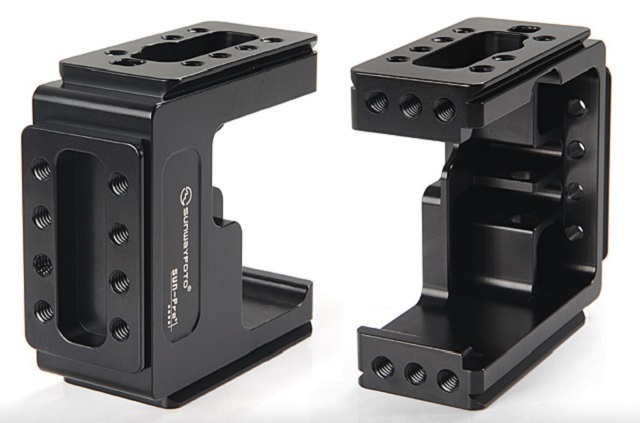 Like all Sunwayfoto products, the SUN-Pro cages are precisely CNC machined from one-piece of Aircraft grade aluminium block, featuring the latest Sunwayfoto finish, which translates into a more robust satin hard-coat anodizing with improved abrasion and corrosion resistance. 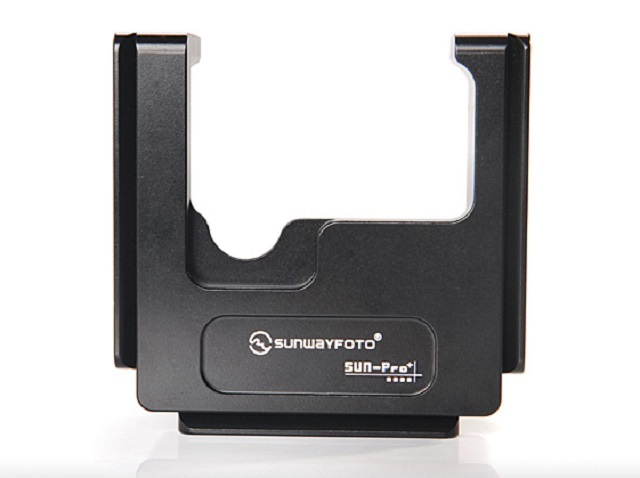 Expected price for the either of the new SUN-Pro and SUN-Pro+ cages is US$ 59.00. (+Free shipping in the US) Both models are expected to be in the stores sometime next week.